The Redmi brand was introduced as a standalone entity with the launch of the Redmi Note 7 smartphone earlier this month. The new brand will be mainly focused at launching affordable smartphones with high-end features. 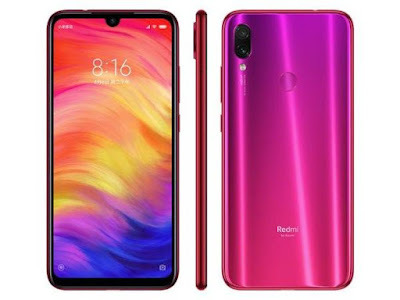 Earlier this month, Xiaomi CEO Lei Jun had confirmed that there will be a Redmi branded Snapdragon 855 powered flagship phone this year. Today, Redmi President Lu Weibing also confirmed through a Weibo post that Redmi will be launching a Snapdragon 855 driven phone later this year. 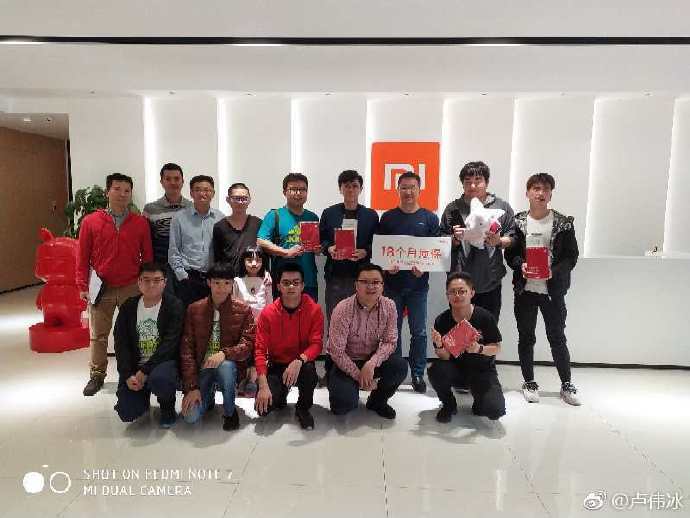 Lu Weibing’s recent Weibo post has two shots of him with the Redmi team at the Shenzhen-based R&D Institute. The team had met to discuss on the future brand positioning, marketing strategy, user needs and flagship product configurations of the Redmi brand. Weibing mentioned in the Weibo post that the company has high expectations from the Redmi Note 7 Pro and Redmi SD855 flagship phone. There are no details available on the Redmi Snapdragon 855 powered smartphones. Rumors have it that it could be called the Redmi X smartphone. Xiaomi is expected to launch the Poco F2 smartphone as the successor for the Poco F1 this year. The Poco F1 had launched as the cheapest Snapdragon 845 chipset. There is a possibility that the Poco F2 could be the cheapest Snapdragon 855 smartphone. Probably, the Poco F2 may end up as the Redmi flagship phone. However, it is too early to speculate it. The Redmi Note 7 Pro will be launching after the Spring Festival of China later this month. It is already confirmed that it will be featuring the 48-megapixel Sony IMX586 sensor instead of the 48-megapixel Samsung ISOCELL GM1 sensor present on the Redmi Note 7. Rumors are rife the Snapdragon 660 of the Note 7 could be swapped by the Snapdragon 675 SoC on the Pro variant. It may come with 128 GB of storage and 6 GB of RAM. The rest of the specs of the Redmi Note 7 Pro could be same as the non-Pro model. It will be featuring a 6.3-inch full HD+ waterdrop-style notched display. It is equipped with up to 6 GB of RAM and up to 64 GB of native storage. The MIUI 10 flavored Android 9 Pie OS is available preinstalled on the smartphone. Its 4,000mAh battery supports 18W fast charging. The handset is fitted with 48-megapixel + 5-megapixel dual camera setup and 13-megapixel selfie shooter.